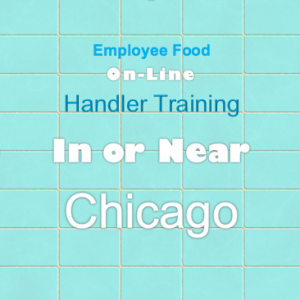 Skokie North Shore Holiday Inn, 5300 W Touhy Avenue in Skokie, Illinois, beginning at 7:30 a.m with proctored testing at 3:30 p.m.
Get your Food Service Sanitation Manager Certificate (FSSMC) with this one day course. The Illinois Department of Public Health (IDPH) and the Chicago Department of Public Health (CDPH) approve the course. ANSI-CFP approves the ServSafe or National Registry of Food Service Professionals (NRFSP) examination that follows. Certified Food Safety Programs will guide you through the process and proctor the test. The course meets at the Skokie North Shore Holiday Inn, 5300 W Touhy in Skokie, Illinois. We begin at 7:30 a.m., and end with the proctored licensing examination at 3:30 p.m.